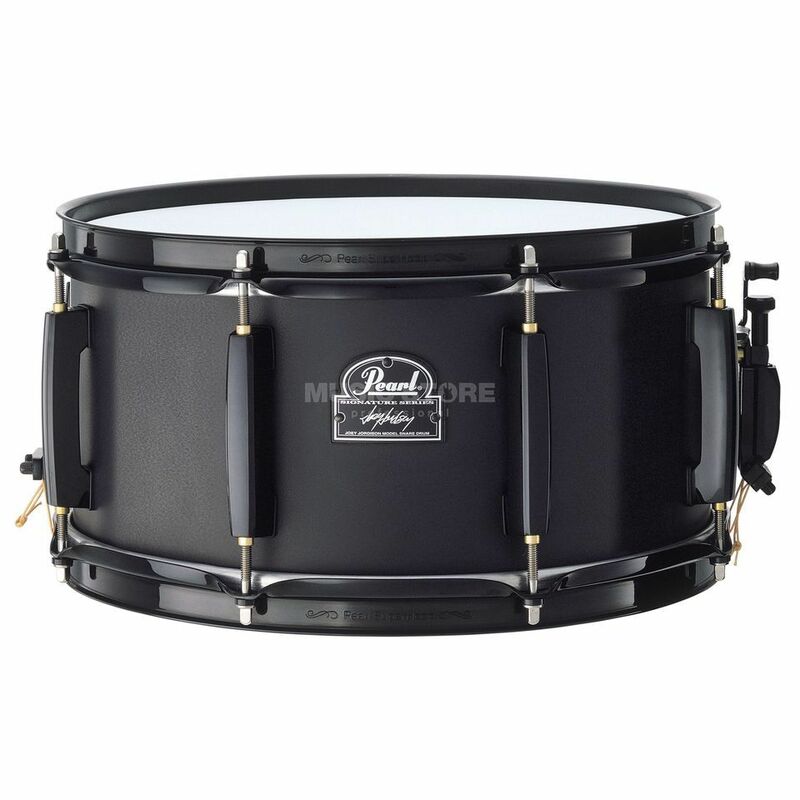 The Pearl JJ1365 13" x 6.5" Joey Jordison Snare Drum is a signature Joey Jordison snare, featuring dimensions of 13" x 6.5", with a black plated steel finish. Pearl announces the new Joey Jordison signature snare drum. Working with the Pearl design team Joey helped engineer what can only be described as a power piccolo. Joey Jordison has a reputation as one of the most influential, respected and successful drummers in the world today. Playing stadiums worldwide with Slipknot, Joey needed a snare drum with a higher pitch and monster bite, and this 13” x 6.5” 1mm Steel shell Power Piccolo delivers the rage and power you’d expect from Joey. Black Super Hoops and Masters double ended lugs compliment the black shell decorated with Slipknot logos.